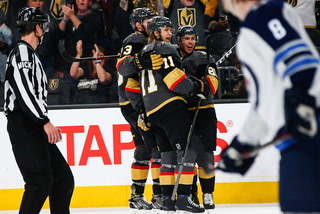 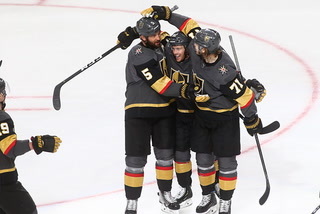 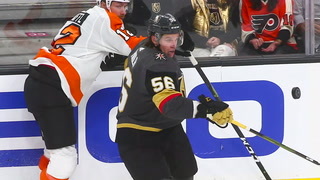 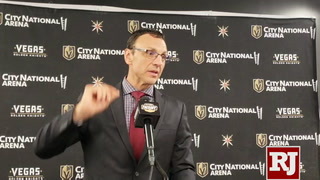 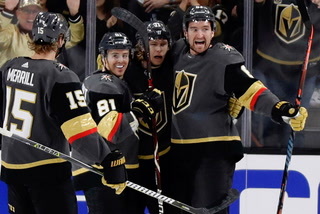 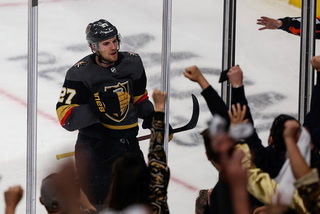 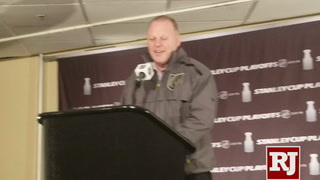 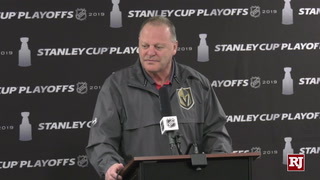 The Golden Knights scored in the opening minute of all three periods of Game 3 on their way to a 6-3 win at T-Mobile Arena on Sunday night. 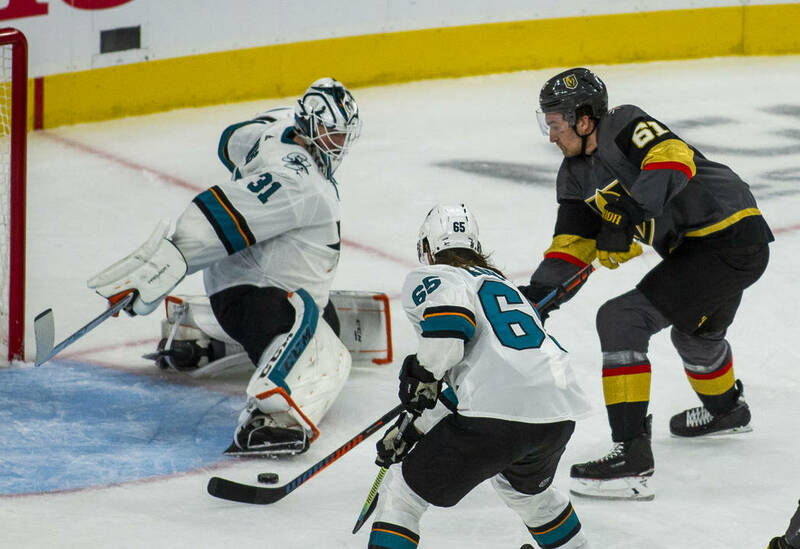 Martin Jones made it through Game 3 in net for the San Jose Sharks at T-Mobile on Sunday night. 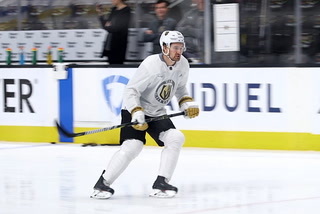 That alone represents an achievement for Jones against the Golden Knights, but his performance isn’t likely to inspire much confidence going forward. 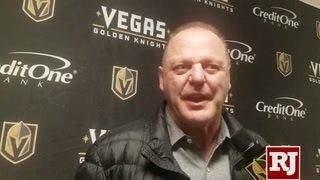 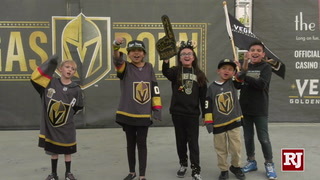 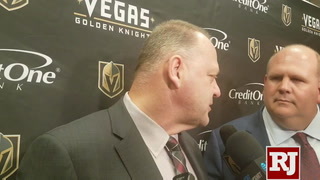 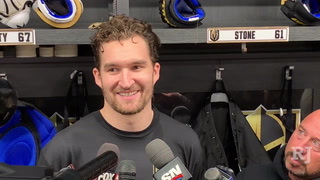 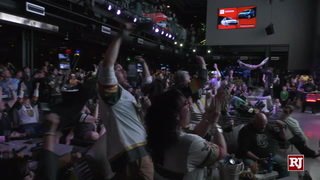 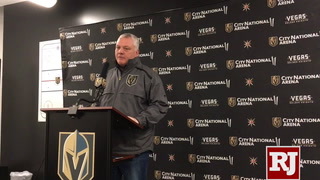 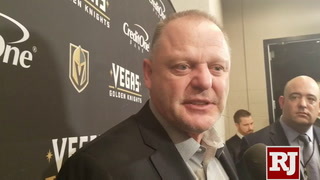 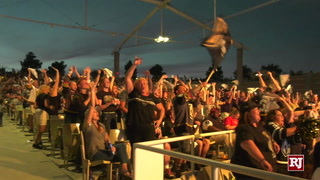 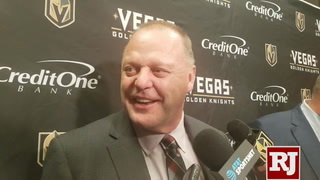 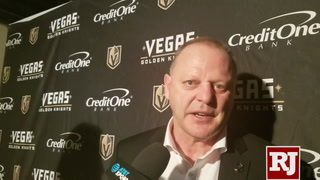 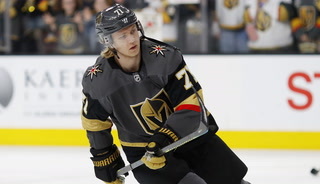 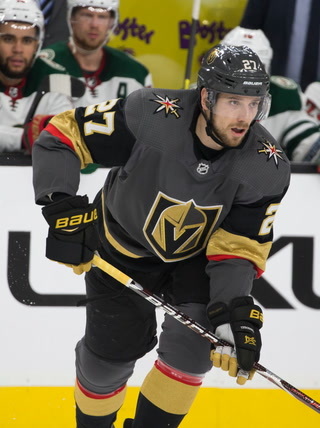 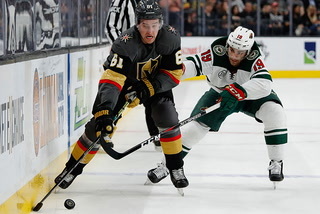 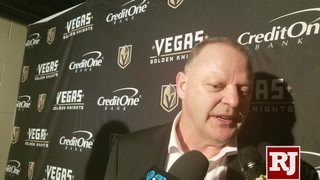 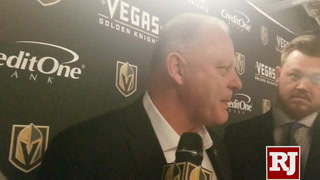 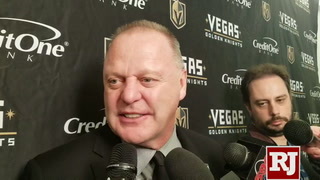 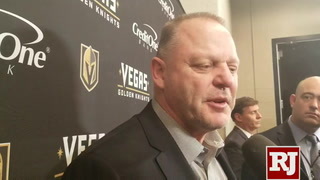 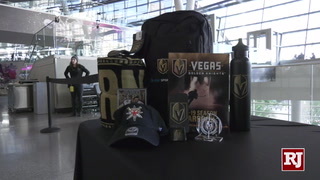 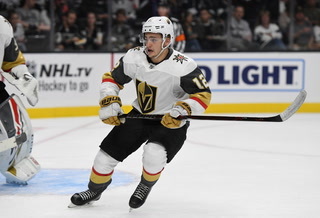 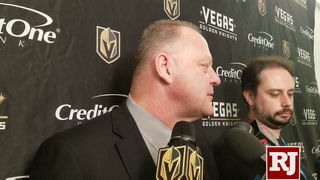 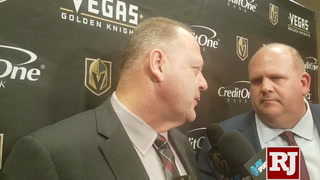 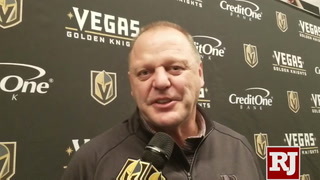 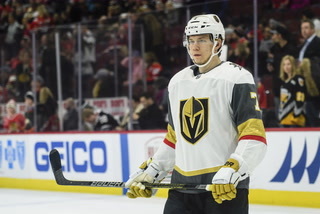 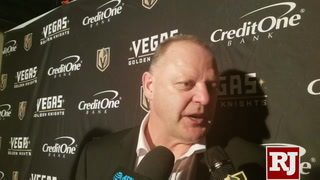 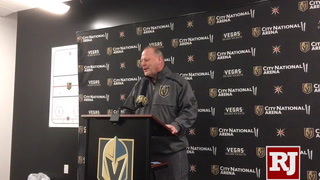 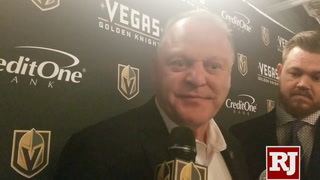 Jones allowed a goal 16 seconds into the 6-3 Knights win when Mark Stone got behind the defense for his first of three goals, marking the ninth time in 17 meetings between the teams Vegas has taken a lead in the first five minutes. 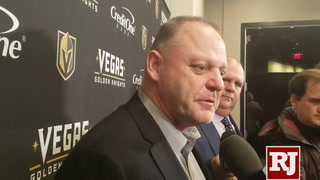 “It’s tough to put yourself behind the 8-ball and then try to come back the whole game,” Jones said. 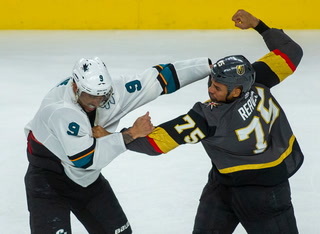 It’s not just the start of the game that has been an issue for Jones and the Sharks. 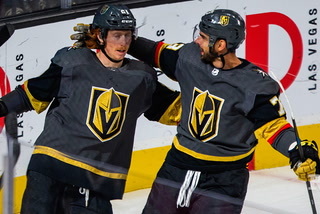 The Knights scored in the first minute of each of the three periods on Sunday and six of their 13 goals in the series have now come in the first five minutes of a period. 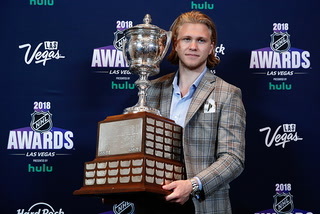 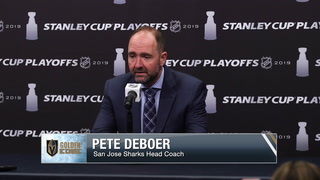 It’s a troubling trend that continues from the regular season and was the biggest question mark for an otherwise loaded Sharks roster entering the playoffs. 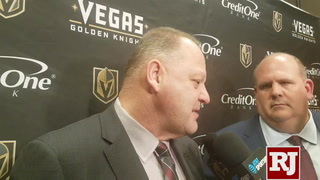 Jones has yet to alleviate any of the concerns. 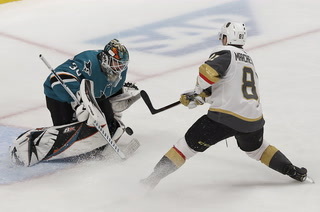 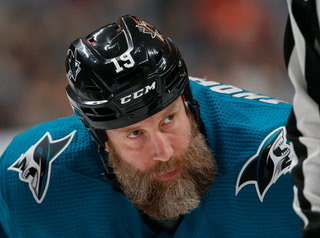 After a steady Game 1 in which the Sharks limited the Knights’ opportunities in a 5-2 win, Jones was pulled following the third goal of the first period in Game 2. 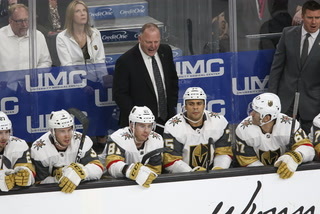 It was the fifth time San Jose coach Pete DeBoer had removed Jones in 15 starts against the Knights. 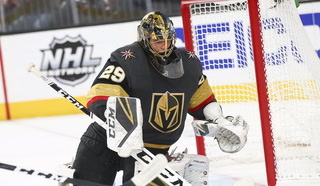 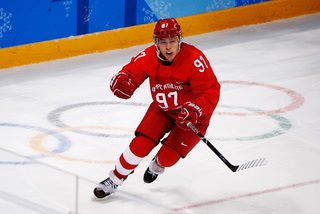 He made it through Sunday’s game, but allowed six goals on 40 shots. 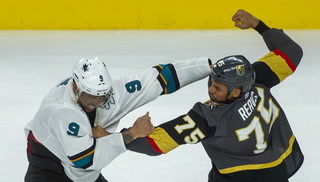 “I felt good,” Jones said, “I thought I did some good stuff today. 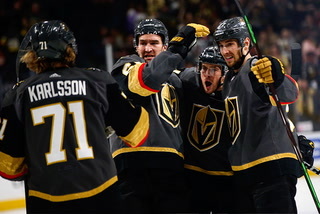 It’s obviously frustrating to give up six, but I just have to stick with it here. 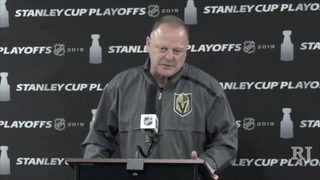 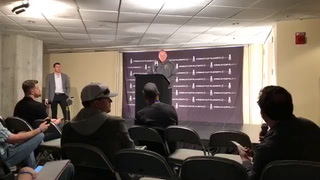 We’re going to play better in Game 4 and that’s going to help everybody out.